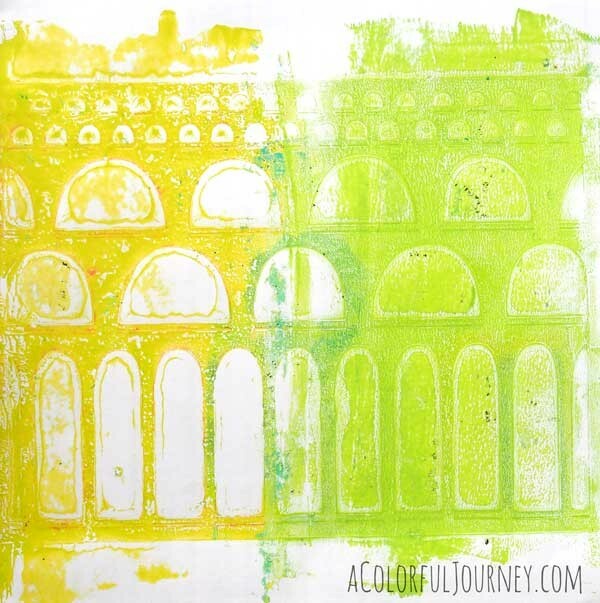 What Is the Best Paint for Gelli Printing®? 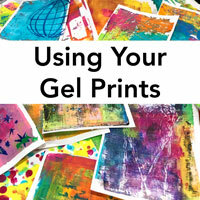 What is the best paint for Gelli® printing? 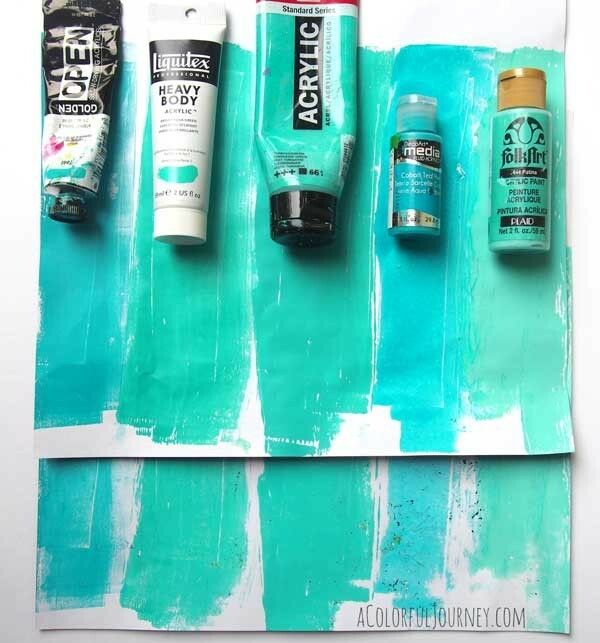 Any acrylic paint will work and different paints behave differently. Spoiler alert- there isn’t one paint that is best. Why? Because it depends on what look you want as well as what paints feel most comfortable to you. In the video, I compare 5 different acrylic paints: Golden Open Acrylic, Liquitex Heavy Body, Amesterdam, DecoArts Fluid Acrylic, and Folk Art. There’s lots of great information in here! 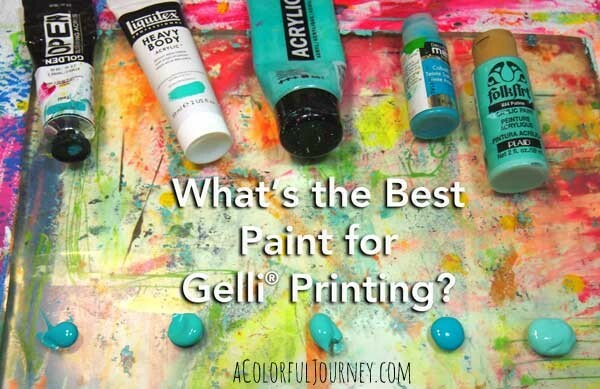 Watch What is the best paint for Gelli® printing? on YouTube. 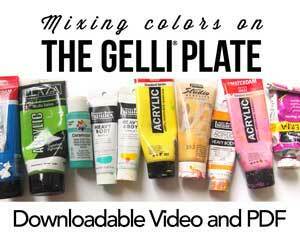 Want to know more about colors and the Gelli Plate®? I’ve created a free downloadable video and pdf cheat sheet just for you when you join my free newsletter! Ready to play with the entire rainbow all at once? 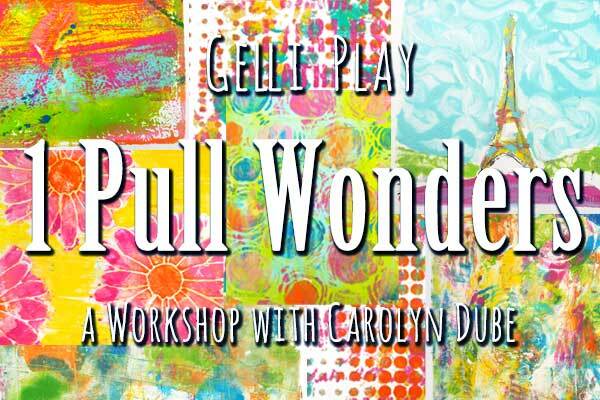 Take advantage of the hours and hours I’ve spent discovering what you can do with a Gelli Plate®. I’ve done all that experimentation so you can dive right in and make complex prints yourself with One Pull Wonders. Once you know how it’s done, it is very easy to create layers of vibrant colors in just one easy pull. 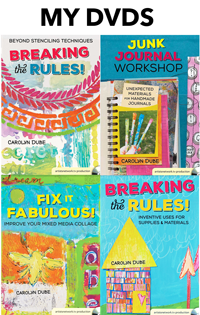 Even if you’ve never Gelli® printed before! And these are all techniques that I haven’t shared before! You can find out all about this workshop here. Here the 5 paints and pull number 1 and 2 made with them. Golden Open Acrylics stay wet, or open, longer than any of the others. This can be very handy if you live in a very dry climate or want to work slowly when printing. The others will dry out so I have all my supplies nearby so I can quickly get paper onto the wet paint. Time is of the essence if I want to get multiple pulls. Any paint with fluid in the name means it flows easily…it’s more fluid. 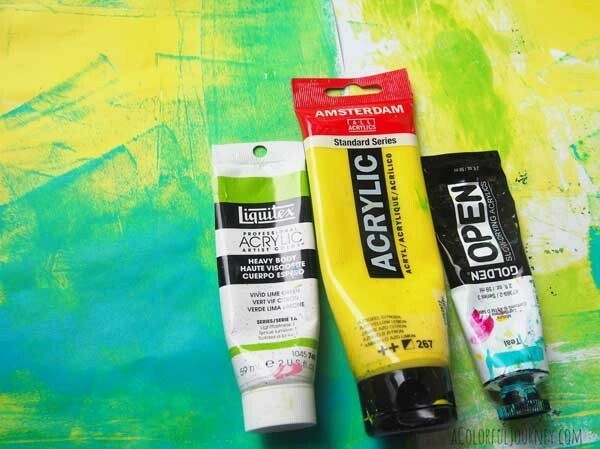 When spreading fluid paints with a brayer, it has a very different feel than a thicker, less fluid paint. Good or bad? Depends on what feels comfortable to you and what look you want in a print. What type of paint you use impacts the look of your prints and so does the amount of paint. In fact, how much paint you use makes a huge difference in the prints. 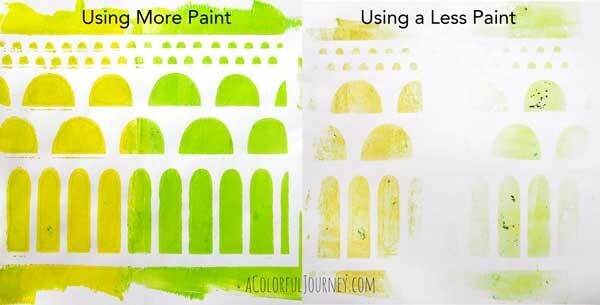 Below you can see how the same stencil (Arched Aqueducts stencil) prints when using more or less paint. Both of these are first pulls. The first pulls are nice, but it is the ghost prints that make me the happiest. Serendipity at its finest. I never know for sure what I am going to get with each print I pull off. 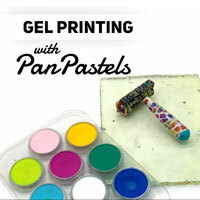 You can mix paints right on the Gelli® Plate, and you can mix different types of acrylic paints. 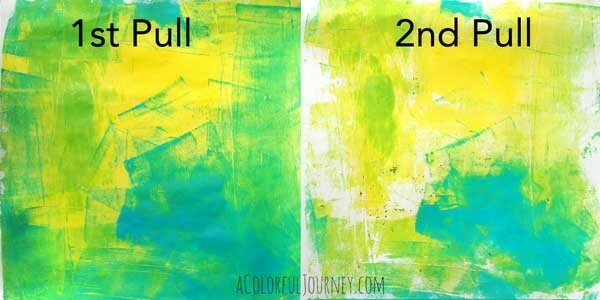 Here is the first and second pull from the Gelli® Plate using 3 different acrylic paints. In the video, I showed how to get rid of those brayer lines if you want, however I really like how they add to my prints. The first prints is great but the 2nd pull is where the magic is for me. 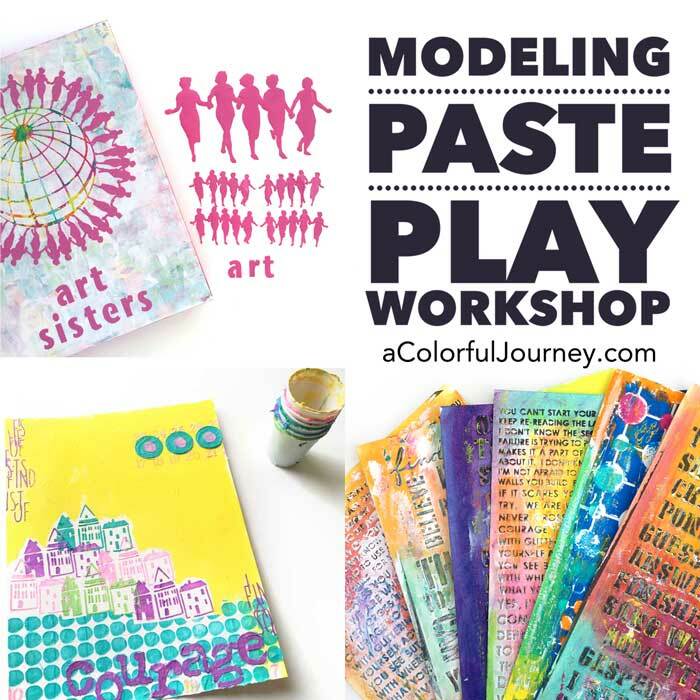 Want more Gelli Plate® fun? I have more YouTube videos waiting for you right here! Wow, this is a great video. I so appreciate your willingness to share your knowledge. I have many craft paints and use them with lots of satisfaction. Thanks! Brilliant… as always! I live in drought land California and I’ve had some luck with a super fine mist of water between pulls. I haven’t tried open body but I’ve really been able to extend my paint that way. Too much mist and it gets watery, of course. Just a thought for anyone in a dry climate or maybe even older paints. I was hoping to learn more about the difference in paints after they have dried. I find using mostly inexpensive craft paints on my Gelli plate that I get very rough texture once the paint has dried. I will often scrub with a paper towel to get the paint not so rough to the touch. Is that because of the type of paint I’m using or the amount of paint? I should provably experiment but wondered if anyone had noticed this and had a quick answer. Man, that was some f-ugly paper! Glad you recycled…giggle! Good demo! 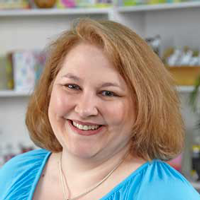 I always learn something new when I watch Carolyn’s videos, and I enjoy every minute! I really liked the presentation. 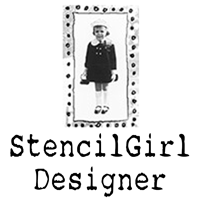 I’ve been playing with gelli prints for 3 years and still found your video very refreshing. Thank you.